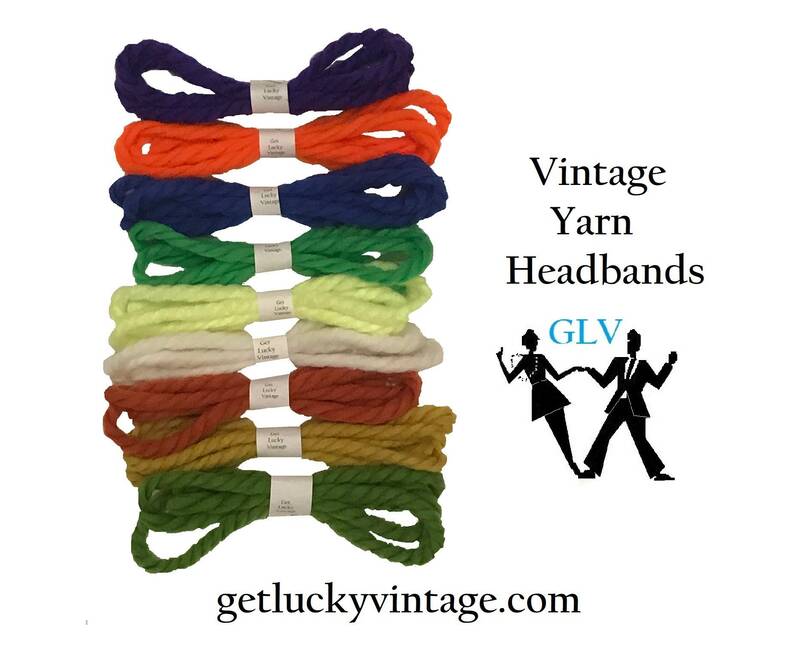 Check out these authentic vintage yarn headbands - perfect to tie up your ratted hair-do (or "hair don't" as the case may be)! Each headband measures approximately 44" in length. Want one of every color but don't have the time to dropdown menu click your entire order? Convo/message me and I'll write up a special order for you. And, as always, we combine shipping on multiple orders, so no worries there, either. 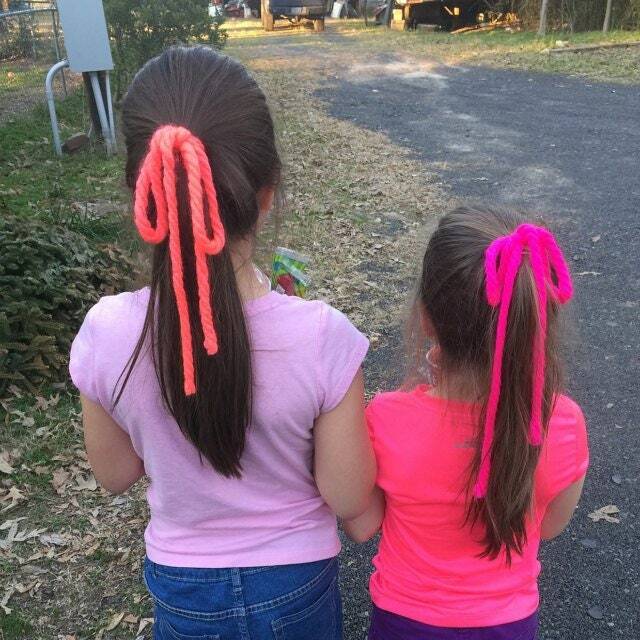 See our other listings for vintage yarn hair tie ponytail pairs, sale lots, and discounted holiday themed bundles of ponytail ties as well. www.getluckyvintage.com will take you to our etsy powered website and blog. Mint condition, new old store stock. Shipped fast and great product.